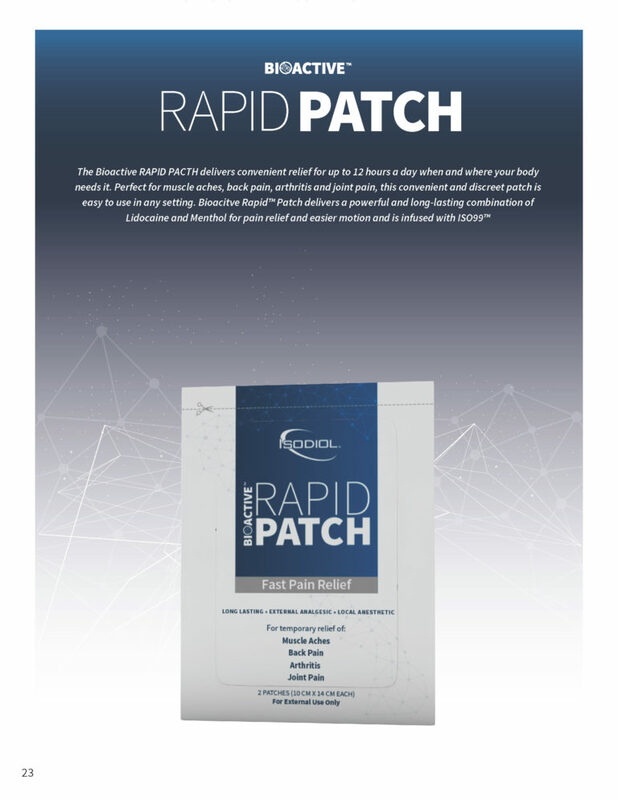 Bioactive Rapid Patch™ is a fast-acting topical pain relief solution, powered by lidocaine and menthol. 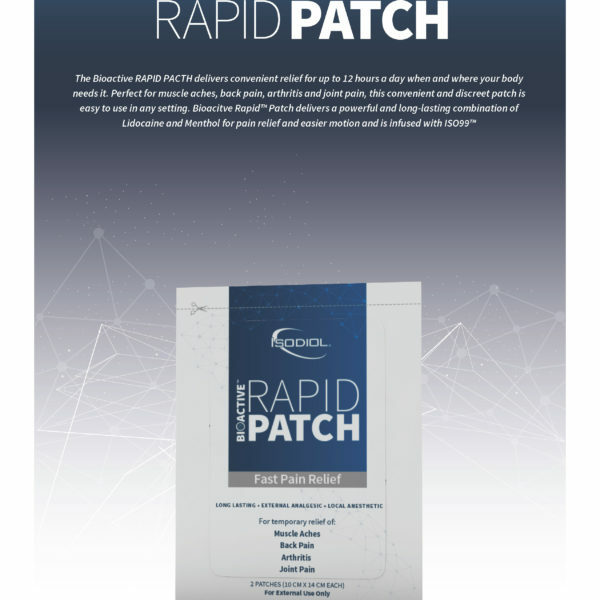 While the lidocaine provides soothing anesthetic properties to calm nerves and stop pain impulses to the brain, Menthol adds analgesic qualities, penetrating deeply to help relieve pain in muscles and tendons. INGREDIENTS: Menthol 1%, Lidocaine 4%, ISO99™ (BIOACTIVE ANHYDROUS HEMP OIL), Methacrylic Acid, Ethylhexyl acrylate, Bentonite, Sodium Stearate. 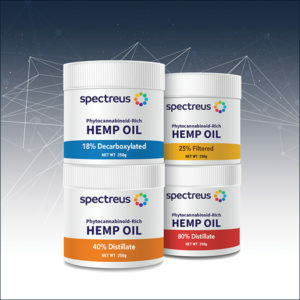 This premium wellness tincture is a blend of ISO99™ CBD and MCT oil derived from organic coconuts. 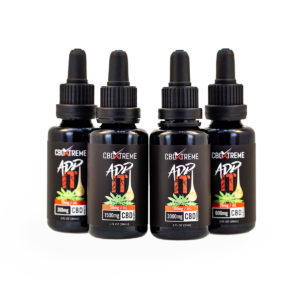 This unique mixture is free of preservatives, flavors and additives. 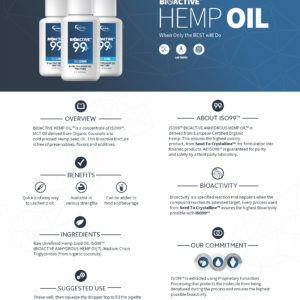 ISO99™ CBD is derived from high quality hemp and is guaranteed for purity and safety. 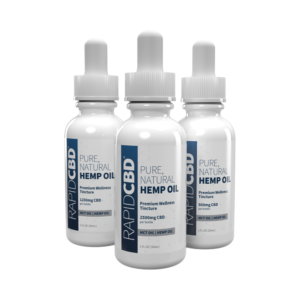 RapidCBD® Hemp Oil is a concentrate of ISO99™ and has one of the highest concentrations of CBD among similar products available in the market.